Rectangular vs. Square Trampolines - Which is better? 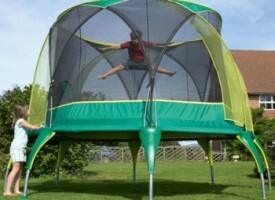 I want a rectangular trampoline. No…Wait! I want a square trampoline. 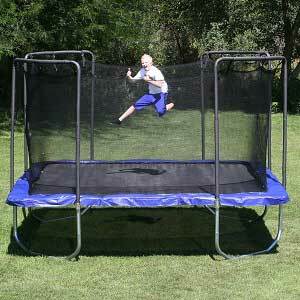 Trampolines have become very popular training equipment among numerous families, training enthusiasts and gymnasts. You can find several people in your neighborhood having one in their backyard. 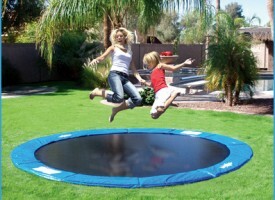 Having a trampoline at home can help you and your family (especially kids) to play and exercise in good & healthy way. Also, you can keep your eye on them as they are having fun close to you and their home (this goes for smaller children). For gymnasts it is essential piece of equipment helping them to achieve perfection on new tricks and new moves. As rectangular and square trampolines are considered as semi-professional trampolines we will try to compare and see which one is better. 5. Planned use – what do you need trampoline for? Training or “fun time”? The springs on square trampolines are made in a crisscross pattern. These crisscross patterns provide a harder bounce because of the distance between the springs. Thus if you don’t want your kids to bounce too high, this may be an ideal option for you as every time you jump on it, you get the same height in bounce. 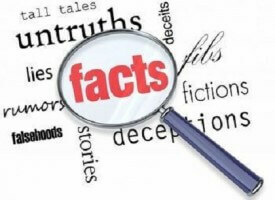 For the well-being of your family, you always want to look at this factor as a safety precaution. Kids are unable to control the force that they apply with each jump so a trampoline that prevents them from flying off it`s boundaries is the safest option. If you are still unsure of this safety mechanism, then you can always add a square trampoline enclosure to avoid any falls. Most rectangular trampolines give you a higher but for novice users mostly uncontrollable bounce, and are mostly preferred by gymnast`s and athletes. But then again, you need to know that quality of bounce will also depend on the brand, materials used, build quality, age & skill of jumpers and many other factors! One of the main reasons to buy a square trampoline vs rectangular trampoline is size of your back-yard. Square trampolines are great because of the symmetric design they do not waste much space and are most often used near corners or obstacles. Our opinion is that square trampoline is better than rectangular, but only in few special cases. Square trampolines are combining the best ‘sides’ of the round and rectangle trampoline. It is both safe and spacious, making it a good ground for child play and for performing exercises. On other side, rectangular trampolines will give higher bounce making it perfect for gymnasts and other semi-pro athletes but with much more need for space. Also, as they are mostly used by professionals they are a bit more expensive but with higher quality parts. If you have decided that these square trampolines are what you need, then you can check out square trampolines for sale in multiple online stores that sell trampolines of different types and sizes (please read out trampoline reviews if you are thinking about purchasing one). Remember that good quality trampoline will ensure your child’s safety! Do your research wisely to find out which of many trampolines on the market would be the right one for you and your family. Want to try how is to bounce on trampoline before you buy it? Visit trampoline park! Click here for list of trampoline parks in your area. Is Installing Inground Trampoline Good Idea?